Why do some people develop addictions and others don’t? Does that provide insight in how to mediate addictive responses and behaviors? 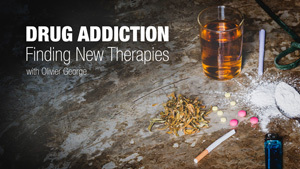 Join The Scripps Research Institutes’ Olivier George as he talks about his research and shares insights into how the brain responds to a variety of drugs, both illicit and prescription – as well as alcohol and nicotine – and new directions in developing novel therapies to reduce compulsive drug use and abuse.